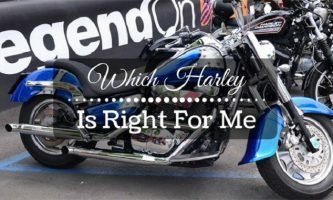 Among the advantages available to bikers are fuel economy and a passion for exploration. When you choose to get out of your comfort zone – which is what the biker lifestyle is all about in the first place – and dive into new and unfamiliar routes, you will discover beauty and tranquility. The impressive scenery along your route will open up to more wonders of the environment in which you live. The fleeting feeling of flying and freedom is something you must aspire to at least once a year. Imagine when these feelings further intensify on account of the fascinating landscape and sheer beauty of the wonders on this route. What better way to have something to write home about when the time comes? As a rider, expect some of the most awe-inspiring of mountain views when you hit the Denali Highway. The endless wilderness is as yet marred by human impact – creating a profound sense of quiet and isolation that few bikers ever consider. Watch out for animal sighting opportunities and listen to the beauty emanating from songbird and the waterfowl species. Among the best motorcycle roads in the USA, the Denali Highway is also called Alaska Route 8. The length of 217 km (135 mi) makes for an exciting ride irrespective of the type of bike you are on. The design of the road is also momentous in the sense that it provides stunning panoramic views while being fun and curvy for a leisurely ride. Since there are sharp rocks towards the end of the road, you should ride a bit slower to prevent accidents and injury. From 1937 through to 1964, small communities along US Route 6 in Massachusetts have benefited from the high volume of tourist and truck traffic attracted by this ocean to ocean highway. As such, there are tons of thriving restaurants and motels all along this route – ideal for a stopover should you need on. Mostly, this historic route starts and ends in artsy, flamboyant, entertaining, and touristy Oceanside towns. Whereas Provincetown draws activists, tourists, and playwrights ever summer, Long Beach (California) is full of a similar sort of glitz. In between, you get a virtual timeline rich in American history. What better way to refresh your memory than by visiting the revolutionary war sites of New England, the pioneer homes on the prairies and plains, and the gold and stark silver mining camps. US Route 101 in Oregon borders the Oregon Coast – itself more of a state of mind than a place. Although Oregon Coast is not a cartographical designation, the 363 miles of spell-binding coastline is unlike anywhere you have been before. As Route 101 winds down from the Columbia River, all along the entire Oregon Coast, and to the California border, there are tons of interesting things to do and see along the way. From the old growth forests of Oswald West State Park through several famed McCullough bridges and away from the ferry trips of old, there is something for everyone who decides to take their bike on a trip down Route 101. Otherwise referred to as Going to the Sun Road, this is one of the best motorcycle roads in the USA everyone must try. Easy to navigate and full of wondrous sights, the Sun Road is as impressive as it is spell-binding. By using this road, you will be able to cut your way through the mesmerizing Glacier National Park. Similarly, the high elevations and switchbacks along the route make for an adrenalin-inducing feeling especially if you are on a speedster. Few places offer stretches that are of such epic scale or dramatic views as the Going to the Sun Road. The Kancamagus Highway – with its tongue-twisting name – is the most superbly scenic drive in New England. Locals have shortened the name to the Kanc on account of the length of Kancamagus (road and name). When you decide to go down this route, you will be setting yourself up for something so wonderful you will ask yourself why you have never tried it before. The pure pleasure of cruising down the Kanc and amid the thickly-treed mountain gap will give you the thrill that can only be felt on a motorbike speeding along an interesting route. In case you need spectacular mountain and park views, then the Trail Ridge Road in Colorado might be of interest. The highest continuous motorway in the country, the Trail Ridge is as high as the adrenaline rush you are going to get when you go through it. Cruising along Trail Ridge at night will provide glimpses of the Milky Way not available to you in the build-up and highly light urban environment you probably occupy. By so doing, you will get to reflect and marvel at the beauty of nature with none of the distractions that are typical of everyday life. 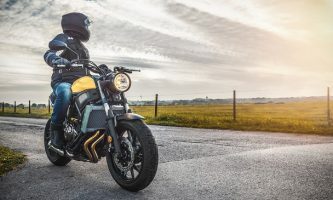 The breathtaking vistas, rugged shorelines, cascading rivers, and magnificent landscapes of Minnesota Route 61 make it a staple among the most enthusiastic of traveling bikers. The route also has many other cultural and natural resources (and history) in store for you should you ever decide to visit Minnesota. 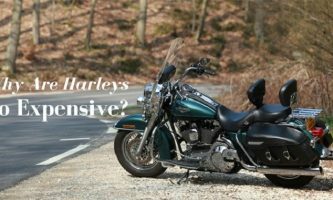 Not surprisingly, the characteristics that continue drawing touring riders every year are so unique that the Route recently earned the All-American Road name through the National Scenic Byways Program. Otherwise referred to as Highway 12, the Utah State Route 12 ranks among the more scenic of venues you can bike through. Another All-American Road, this highway hosts the Capital Reef, the Bryce Canyon, and two green national parks. To get a mental glimpse of the attractions available along State Route 12 in Utah include the Red Canyon, the Grand Staircase – Escalante National Monument, and Boulder Mountain. After passing through the Dixie National Forest, you will be able to pull at the end of the road smack on the Capital Reef National Park. Still wondering whether these are the only ones among the best motorcycle roads in the USA, then you are wrong. The variety of scenery and the sheer scale along the Blue Ridge Parkway will be sure to keep you more engaged than you anticipated. Extending through North Carolina and Virginia, this route transverses the Blue Mountain. As such, it renders an entirely obtuse feeling of unity with nature to every rider who graces it. Thanks to the meandering paths with arrestingly breathtaking views, you can be sure that the Blue Ridge will hold your breath. Wondering through the Virginian countryside, the Blue Ridge Parkway features its fair share of highly localized charms – interesting battle sites from the Civil War as well as an old mill pond completely with a functioning millwheel. 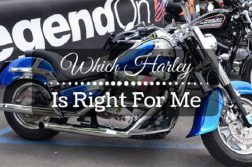 Romantic and coastal, it is not hard to understand why the 17-Mile Drive in California is such a hit with motorcyclists from all around the region. When you speed through this drive, you will be left with one thought: how am I going to manage never leaving this place? 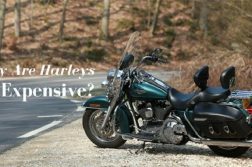 Privately operated, riding through this drive comes with a fee charge. However, you will not have a second thought about paying once you realize that the drive offers you the opportunity to wind between Pebble Beach and Pacific Grove. It will also trudge you through a naturally wind-sculpted cypress forest down towards a rocky coastline featuring some of the most beautiful homes you have ever seen. There are also great views of Pebble Beach’s many renowned golf courses. You can even pull over at Fanshell Overlook to enjoy the sight of the harbor seals and their wandering families. What is for sure is the fact that the legendary sites and awe-inspiring vistas will easily fill your entire day with discovery and exploration. Restorative for body and mind, the Hana Highway delivers sights over the entire coast – think plunging waterfalls and black-sand beaches, among others. It unspools along 84 kilometers (52 miles) of the whole eastern coast. 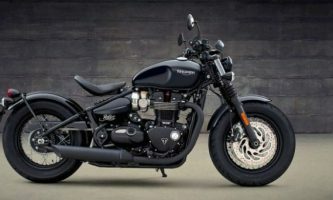 Further, the highway is a cliff hanger that will strain your equanimity at some of the points, where you should ensure everything is working well on your bike before you get started. The reward for any trouble you would have taken to ride on the Hana Highway will come in the form of complete removal from the modern world, as well as the fading of daily cares into trade winds and papaya-colored sunsets. Countless dreamers, desperados, adventurers and travelers have elected to take Route 66 in the past – and your turn might just be around the corner. The experience waiting for you on this scenic road will go right down into the annals of your memory for future recollection. Although the Route does not officially exist, a good enough deal of it remains that you should be able to safely and amazingly ride over it. Use a map – digital or otherwise – along the route to ensure you stay on track, all the while stopping to wonder at the numerous roadside attractions dotting the landscape. Otherwise referred to as California State Route 1, the Pacific Coast Highway, has long been considered a wonder of the motorcycle world. While it stretches from Mendocino County to Orange County, the part you do not want to miss is the ride through Big Sur. This portion of the Highway hugs rugged cliffs and features hairpin turns and sharp drop-offs. Sometimes, there’s thick fog that you should be prepared to tackle. You will, all too naturally, be amazed by the scenes of crashing waves, redwoods, and million-dollar mansions sprucing up the entire breadth of the Pacific Coast Highway. 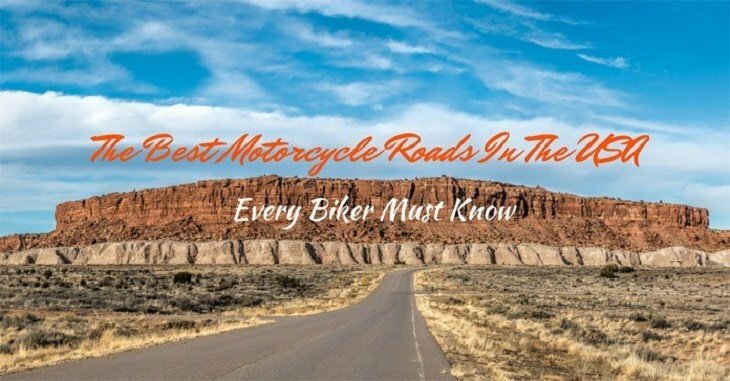 An undisputed road trip champion, this is one of the best motorcycle roads in the USA that every rider absolutely must take. The world-class dining, hot tub B&Bs, sleepy seaside towns, redwood forests, cliffs, and beaches all dot the ribbon of undulating road that will provide you with the thrill your riding lifestyle truly requires. Stop at the turnouts and make sure you don’t miss the wild Olympic Peninsula, Hearst Castle, rustic Big Sur, bikini-clad Malibu, and the super rider-friendly San Diego, San Francisco, and Seattle. 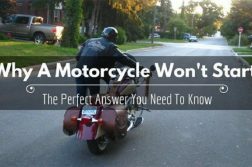 Despite recurring law enforcement crackdowns and chronic overcrowding, The Tail of the Dragon is still one of the most popular of all the best motorcycle roads in the USA. Although it is only 11 miles long, it comes with 318 tight turns that will provide you with the endless entertainment you need. From touring enthusiasts to sports bike riders, there is something for everyone on the Tail of the Dragon. Bordering the Great Smoky Mountains Nation Park’s southeastern portion, this ride will be more spectacular than anything you’ve experienced before. In case you prefer the macabre, make a stop at the Tree of Shame to reflect on the meaning of life and why you need to live – really and truly – before it is all too gone. As a rider, finding routes that will interest, intrigue, and engage you can be difficult. 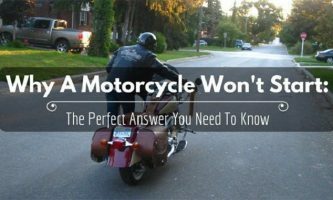 However, with the best motorcycle roads in the USA, you can be sure that there will be no shortage of fun, fanfare, and freedom for you. Try out any of the above and create memories you will never forget.